This website they tell you they will invast for you and when given money to start with $500. They tell you. Registration 505$ and tgey will tell your profit around $24500.Comssion will 10% $2450 from you profit. 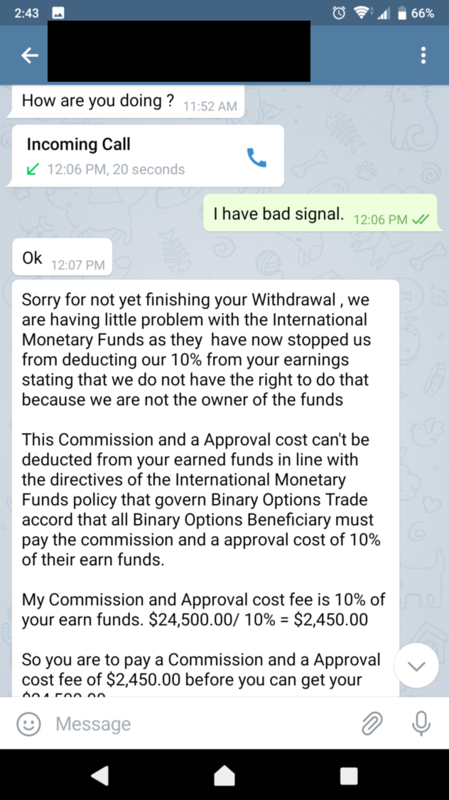 After that they tell you the have problems in transfer you have to pay coast and also after all you pay the tell you the proplom with broker $1200 and government you have pay $3200.now the do block for me in telegram and whatsapp. Every thing in has website is fake the only show you have money in your account and is safe. All this is fake for scam people.